Fragen von Ungleichheit, Marginalisierung und Diskriminierung sind heute aktueller denn je. 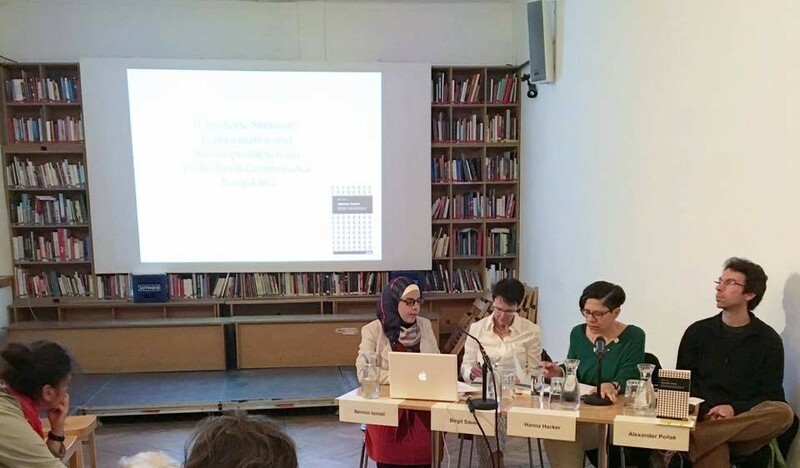 Mechanismen der Repräsentation sowie Formen der Wissensproduktion, also der Etablierung von „Wahrheit“, beschreibt die Autorin Nermin Ismail als fundamental für Herrschaft. Nicht erst seit Köln stehen Flüchtlinge im Mittelpunkt der medialen Debatte. 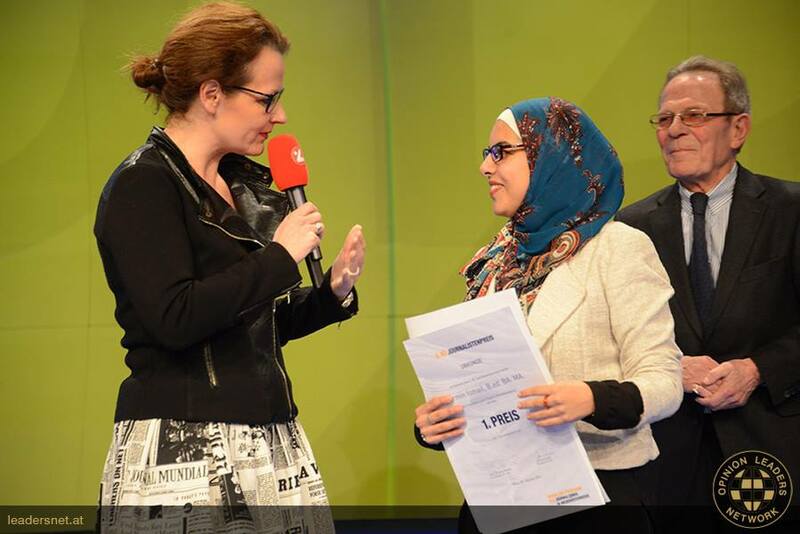 Inwiefern prägen postkoloniale Züge die aktuellen Debatten rund um das Flüchtlingsthema? … es keine Ausländer gäbe. In der Schweiz stellt sich ein Projekt diese Frage. Der Gipfel aller damaligen Geschehnisse während des Angriffskriegs gegen Bosnien-Herzegowina war das Massaker an den BosniakInnen in der UN-geschützten Enklave Srebrenica, welches im Juli 1995 von großserbischen Nationalisten begangen wurde. In nur wenigen Tagen an jenem Juli wurden über 8.300 Menschen getötet, vor allem Männer und Knaben im Alter von 12 bis 77 Jahren. Die Geschehnisse in der Enklave Srebrenica gelten als das schlimmste Massaker in Europa nach dem Zweiten Weltkrieg. Die Internationale Gerichtshöfe in Den Haag haben dieses Verbrechen mehrmals als Völkermord anerkannt und verurteilt. *Dieser Beitrag ist im ORF Religionsmagazin „Religionen der Welt“ erschienen. Wien – Die zweite Stunde der 2C im Gymnasium Haizingergasse hat begonnen. Im Pausenraum machen es sich zwei Mädchen am Boden bequem, links von ihnen stehen vier Schüler und besprechen ihre Aufführung bei einer Buchvorstellung. Im hellen Klassenraum herrscht Ruhe, ab und zu ist Geflüster, Geplauder und Gelächter zu hören. Alleine, zu zweit oder in einer Gruppe arbeiten die Kinder an ihren Aufträgen in Mathe, Deutsch oder einem anderen Fach. All das können sie selbst bestimmen, sofern am Übungsblatt nichts anderes angegeben ist. Frauen und Motorsport? 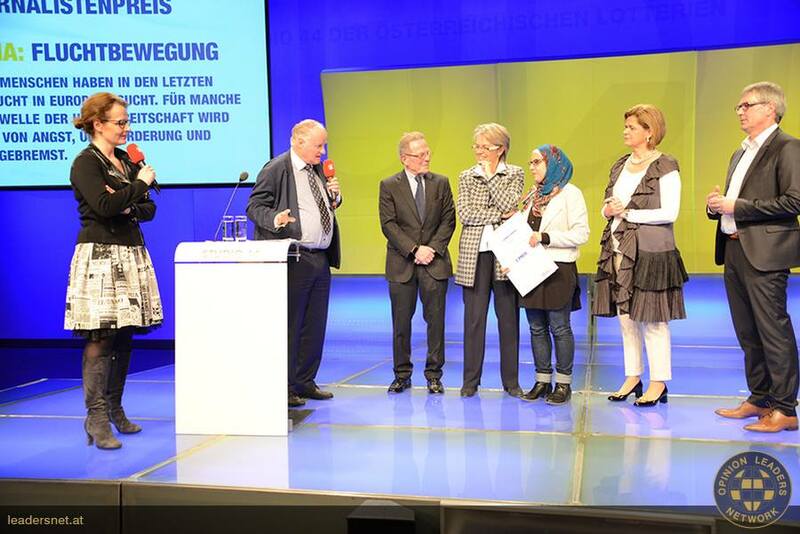 Für Yasmin Abdel-Magied kein Traum, sondern tägliche Realität. In unserem Interview spricht sie über die Liebe zu lauten Motoren und schönen Autos. Das Gespräch ist in englischer Sprache verfasst. KISMET: You have a passion for cars which is not usual and ordinary. Not for women and even less for muslim women. How did you become involved with that? 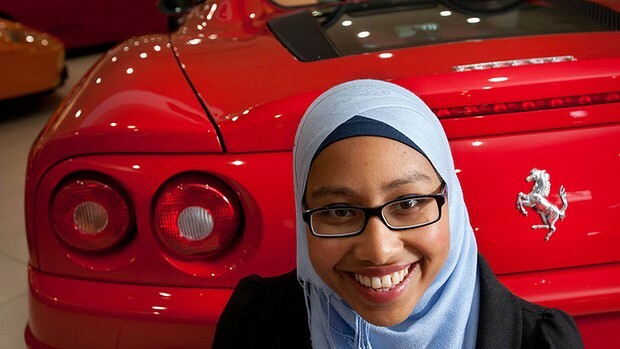 Yassmin Abdel-Magied: To be honest my love for motorsport only really began when I was in middle school at about 13 years old. I saw a film where a kid was a go kart racer and fell in love with the idea and then began to read more and more about cars, machines, F1 and racing. I remember taking out all the F1 history books from the library and trying to remember all the names of the greats… and realised the beauty of it all! KISMET: So you´re the first female, Muslim, formula one racing driver. How do the reactions from your surrounding field look like? Are peoples surprised when they hear of your passion? Oh I am not there yet! But it is definitely a dream I would love to achieve. The reactions have been quite varied – but the level of response and reaction has been really incredible. I have had many people wish me luck and unequivocal support, and I have had others tell me that this isn’t really the place for women, let alone Muslims. I think it actually brings up a lot of other issues that lie beneath the surface as well in terms of gender equality in such a sport and what people think Muslim females can or can’t do. My father is of the opinion that it is better for me to pursue the technical/engineering aspect, while my mother simply said to me – “if you really really want this and you won’t be doing anything that is Islamically incorrect then go for it.” So there has been every extreme and everything in between, but I just do what I do. KISMET: You were born in Khartoum, raised up in Brisbane, you´ve visited islamic and christian schools and now you´re studying mechanical engineering at the Brisbane university. Did you go through the phase of the lost identity like most people having migration background? I think everyone that migrates to a different country and grows up in a society that is different to the one they are brought up in will always face an identity challenge, and I am no exception. Alhamdulilah though, having my parents and family around me, as well as having a strong foundation of faith from my Islamic school days helped me immensely. I think it was most difficult during high school, as that is an age where we are all trying to figure out who we are and where we stand in this world, but I found my purpose in life early on Alhamdulilah, and that was to help people, and to have an impact on everyone I meet inshallah. One way I do that is by embracing my more uncommon passions, like cars, and showing people that Muslims aren’t all that different! I think I have grown to enjoy my differences as something to be proud of and to be embraced. YWB actually started as an idea at the end of 2007. It was the four days before my QCST exams (the final exams for year 12, that sets our high school graduating results), and I had been selected to attend a conference called the ‘Asia Pacific Cities Summit’. It was a fantastic experience and as part of the Youth component, 100 young people from around the Asia Pacific came together to talk about change in our region. Something I noticed throughout the four days though, was the although there were many extremely passionate and capable youth in our region, they still competed for funds, still had conflicting interests…even though they were all working on similar issues, trying to help the same people. It led me to think “wouldn’t it be great if there were an organisation whose pure focus is to bring these people and organisations together to work on projects?”. That is essentially how YWB was born. I pitched the idea on a boat trip during the conference and got mixed reception…but I decided to do it anyway. Now here I am! We have a strategic board of three, a management committee of 10 and a membership in Australia of 70 and around the Asia Pacific of about 150. Projects we do range from organising mobile libraries in Indonesia to setting up football teams for marginalised kids in Brisbane, and we are always looking for new places to expand and grow! KISMET: „Shinpads and Hijabs“ is the soccer team coached by you. Are sports important in your life? What do you want to achieve with this project? Sports are actually an extremely important part of my life. From being an extremely avid football fan (the biggest one in my family actually), to boxing for the last three years and also cycling, running and going to the gym on a regular basis, I find the importance of healthy living and staying fit imperative for everyone, regardless of gender, religion or race. Shinpads and hijabs is an extraordinary project started by Football United and partnering with YWB – essentially teaching young Muslim girls to play football. We train them at the school and have brought in national champion female soccer players from around the country to show these girls how it is done. Not only do these girls now have an increased sense of confidence in their ability, as well as an increased level of fitness, we have provided these girls with an opportunity they may have never previously been able to access. Some are considering taking up soccer as a full time extracurricular sport and joining and league, and now many parents are more comfortable with their girls playing organised sport more competitively. I am a great believer in sport being one of the great equalisers and football is definitely the world game and a passion for many, so it is great to see it bring change and open the eyes of so many Muslim girls here in Brisbane. 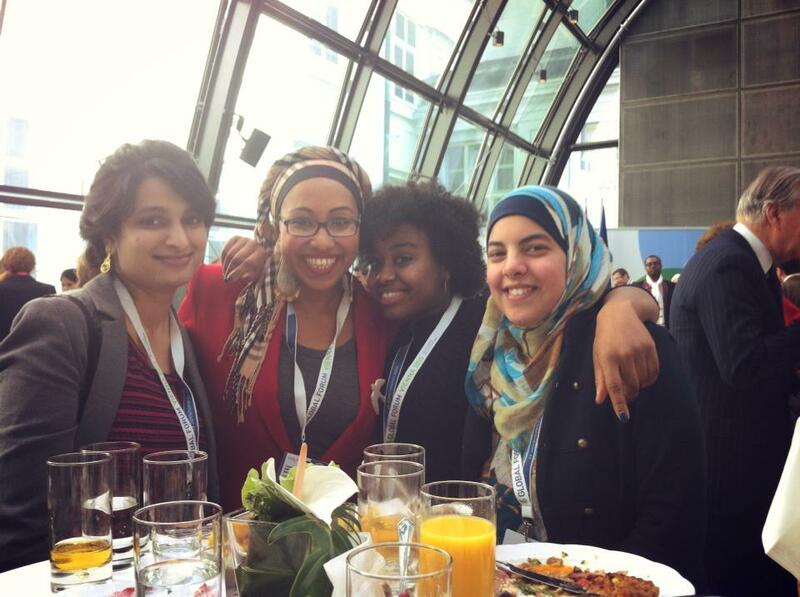 KISMET: Yassmin you´re dedicated to empowering youth in Australia and around the world. What can you do for youth all around the world? What can I do? That’s a pretty big question I guess! Anything the world needs me to do I guess. I am reluctant to ‘talk for the Muslim Youth’ because we are so varied and all face various issues, but I am dedicated to the concept of empowerment and will work for it wherever in the world I am. For now, that happens to be Australia, but who knows where that might lead me to inshallah. Make no mistake though, I am willing to give it my all! KISMET: What do you want people to know about Islam and Muslim women? KISMET: Last year you were awarded the Young Queenslander of the Year. How did you feel? Subhanallah it was amazing! It was so unexpected and I felt extremely humbled and indebted to everyone who has helped me along the way, especially my parents – without whom, I would not be here! It has also given me the amazing opportunity to reach out to so many more people and to learn so much more! Definitely something that I feel blessed to receive and I hope that I can use it to its full potential inshallah. KISMET: What do you want to reach exactly with your work? Do you have a certain message? There are a number of things I want to achieve in my life inshallah… nothing so concrete as yet but I want to have a positive impact inshallah on every person I meet; essentially live a life that is worthwhile and that leaves a legacy. I also want to impress this upon everyone I talk to as well; don’t underestimate the impact you can have on someone else’s life. My hope is that inshallah by living, I have made others’ lives better. KISMET: Yassmin do you think being part of the integration process of muslim youth in Brisbane. Can you change the picture of the oppressed, poor, muslim woman represented in the media through your participation and emancipation? Are you breaking stereotypes? KISMET: How do you see your future and the future of the integration debate around the western society? To be honest I am not exactly sure. I know it is going to be difficult at times, but also I believe people are ultimately good and are willing to learn, so hopefully we can work with that. KISMET: Last but not least you´re planning to build your own vehicle? Is this true? Yes I am! I am saving up for a really good set of tools at the moment, but am searching for a corvette stingray that I can work it. It will probably take a fair few years, but I will love it! In the meantime I might just settle for a regular datsun, but from my previous experience I will also need a ‘daily driving’ car; ones that are being worked on aren’t always completely reliable! In Teil zwei der neuen KISMET-Serie spricht die Bloggerin Jana Kossaibiti über ihre Leidenschaft täglich das neueste aus der Modewelt zu präsentieren. Das Originalinterview steht vorerst in englischer Sprache zur Verfügung, eine Übersetzung folgt in Kürze. KISMET: Jana you´re a medicine student and started a blog (Hijab Style) some years ago, which got very popular. Can you tell me what you are doing exactly and what motivated you for doing that? Kossaibiti: I started my blog, Hijab Style, in September 2007. I already had an interest in blogging, but didn’t really come across blogs which focussed on Muslim women’s fashion and clothing. So I decided to start my own, which is all about style ideas and fashion inspiration for Muslim women who wear hijab. KISMET: Jana Kossaibiti, you got very public. Why do you gained so much fame and still have so much success with your job? Kossaibiti: As one of the first blogs to cover Muslim women’s fashion in depth, it caught the attention of the media, and that definitely had a big impact on the blog’s popularity. Writing for The Guardian and Vogue.com brought the issue of hijab into a new light, that was rarely explored previously. KISMET: You have over 23.000 visitors. What do you think, why there´s such a rush on your blog. How do you cope with it? KISMET: Born and raised up in London, having Lebanese parents. What do you say about yourself? Where do you belong to? Kossaibiti: I think of myself as British-Lebanese, taking the best of both cultures. KISMET: Is Fashion something important for every muslim girl/ woman? Does the cultural heritage play a big role or is it minor matter? Kossaibiti: Everyone places an importance on fashion to differing extents. For Muslim women who wear hijab, often it means that they need to put in more effort than most when considering their clothing options. Cultural heritage, again, will depend on the person. Many Muslim women prefer to wear only their traditional clothing, whereas others will incorporate only parts of it into their outfits. KISMET: How do you combine western fashion with the Islamic dress code? What does your experience look like? Is it hard? Kossaibiti: I always keep in mind the basic Islamic principles, for example wearing loose-fitting clothes, and try to find items which fit within those criteria. Although that usually means lots of layering, since it’s difficult to find clothes which for example, are both loose fitting, high-necked and long-sleeved. KISMET: You said in an interview muslim women are underrepresented. Why? What are you doing to change that? 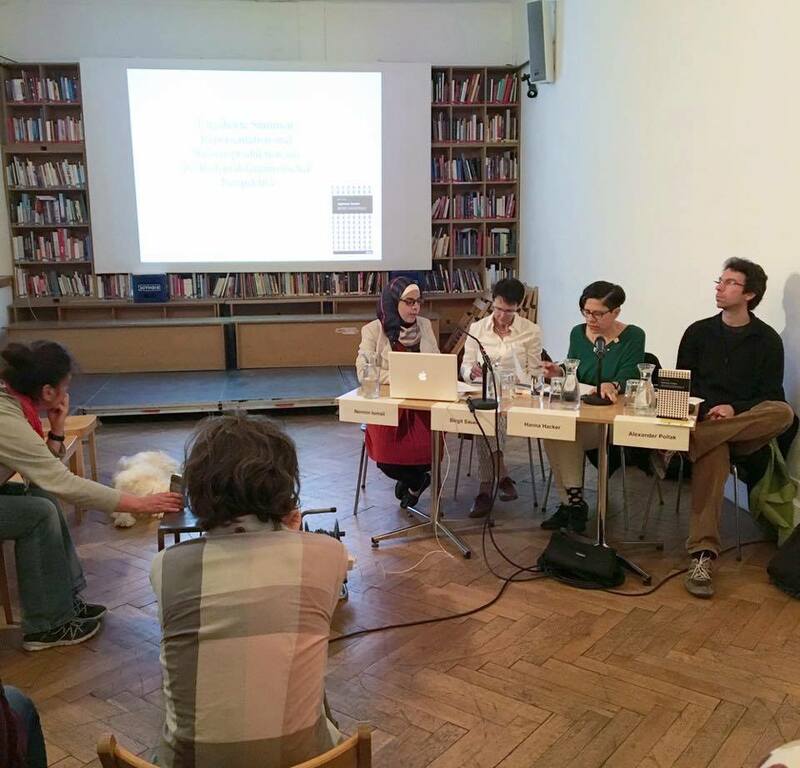 Kossaibiti: Most of the media discussions around and hijab and Muslim women are extremely polarised, and rarely do you see Muslim women themselves speaking. There always seems to be someone else doing it on our behalf, whether it’s male religious leaders or Western politicians. I think my blog provides a place where Muslim women can talk about hijab on their own terms, without interference from others. KISMET: The debating of topics like integration, women in Islam etc. is always current and ongoing. Which impact do you have on the English society? Can you be part of a successful integration? Kossaibiti: I think the issue of integration goes much further than simply what people wear. It’s more to do with attitudes and how much people are willing to part of the wider society. KISMET: Do you have a certain message, which you are certainly trying to make public? An higher goal? Kossaibiti: I’d like for people to understand that hijab is a ultimately a woman’s choice, and that it shouldn’t be over-inflated and used for political purposes. At the end of the day, it really should be down to the women herself whether she wants to wear hijab, how she does it and what her reasons are. KISMET: If you close your eyes and think about the future. Where do you see yourself in ten years? Kossaibiti: In ten years time, I hope to be enjoying my career as a doctor, as well as perhaps keeping up my interest in fashion on the side!